Manjula Vijayakumar was a popular South Indian actress who acted in more than 100 films in Tamil, Telugu, Kannada and Malayalam. A heartthrob of the 70s, Manjula is best remembered for blockbuster flicks like Rickshawkaran and Ulagam Sutrum Valiban. Manjula's husband Vijayakumar is a popular Tamil film actor and politician while her daughters Sridevi Vijaykumar, Preetha Vijayakumar and Vanitha Vijayakumar are film actresses. Manjula Vijayakumar was born on 9 September 1953. She married actor Vijayakumar shortly after meeting him on the sets of Unnidam Mayanguhiren. The couple was blessed with three daughters namely Vanitha, Preetha and Sridevi Vijaykumar. Three of Manjula's daughters are actresses. Actor Vijayakumar was previously married and from his first wife he has three children - Arun Vijay, Anitha, and Kavitha. Manjula was one of the most popular actresses of the 70s. She has acted in over 100 South Indian films, including Tamil, Telugu and Malayalam. Majula made her debut with the film Shanthi Nilayam in 1969 in which she did a supporting role as a little daughter of Gemini Ganesan's character. Manjula's first lead role was in the film Rickshawkaran in 1971. In this film she was cast opposite superstar MG Ramachandran and the flick became one of the blockbusters of that time. Manjula is still remembered for her role in the film. Till the late seventies Manjula acted in lead roles in different films and from the late 80s she started appearing in supporting roles. The memorable Tamil movies of Manjula include 'Ulagam Sutrum Valiban', 'Anbe Aaruyire', 'Ninaithathai Mudippavan', and 'Shankar Salim Simon'. While her successful Telugu movies include 'Jai Jawan', 'Alluri Seetarama Raju', 'Mayadari Malligadu', Gunavanthudu' and 'Vaasu'. In her successful film career Manjula has acted with top notch actors like Sivaji Ganesan, M. G. Ramachandran, Gemini Ganesan, Krishna, Kamal Hassan, Vishnuvardhan and Rajinikanth. This great star of South Indian movie took her last breath on 23 July 2013 in Chennai. Manjula's death was caused by renal failure and stomach injury. Manjula's whole family was with her when she died. Stars from the film industry like Rajinikanth, Vijaykanth, Prabhu, Suriya, Jyothika, Jayam Ravi, Prasanna, Srikanth and others gathered at actor Vijayakumar’s residence house to pay their homage to the deceased. Actor Khushboo: "She was the most beautiful soul. I will never forget her. She was instrumental for my marriage." Actor R Sarath Kumar: "Deepest condolences to Thirumathi Manjula Vijayakumar's family, the film industry has lost another versatile actor and a good human being." 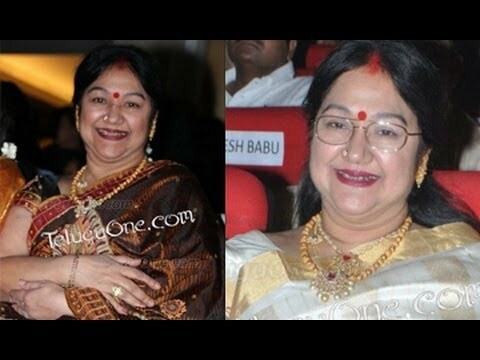 Director Aishwaryaa.R.Dhanush: "RIP manjula vijayakumar aunty..adorable n affectionate. .you lived life queen size. a great mother n friend..remembering all the laughter." Actor khushbusundar: "RIP Manjula aunty..life will. Never be the same without u..u will alwz b d most beautiful woman to me..love u so much.."
Director KS Ravikumar, "She was large-hearted."